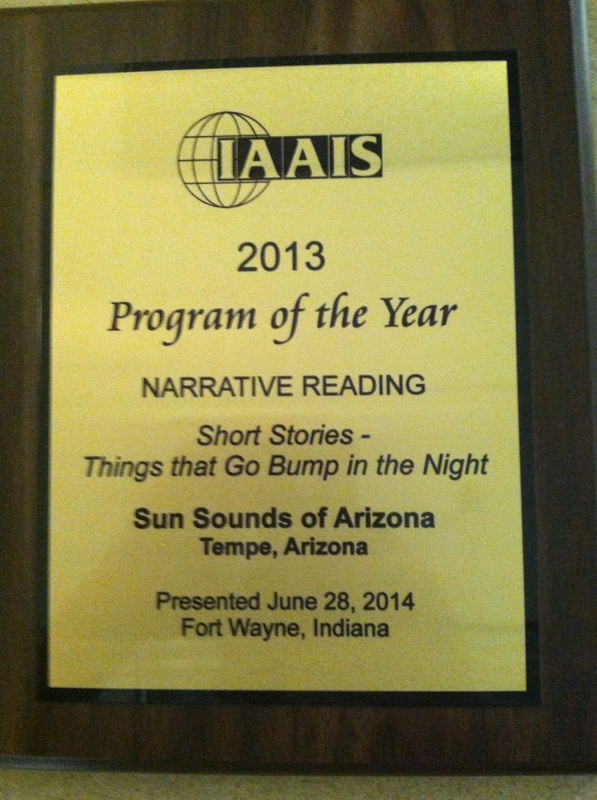 Sun Sounds brings home another award from the IAAIS Conference in Fort Wayne. We won Program of the Year for Narrative Reading for "Short Stories - Things That Go Bump In The Night", read by Lexi Stevens. We also took an Honorable Mention for our, "Catalog Shopping" show and our, "The Theatre" program.